Since June marks the 2-year anniversary of my big UK/European adventure, I'm feeling nostalgic...and I'm also feeling the need to read alllll the books with settings of places I love. Last week, this week, and next week I'll be recommending books set in each of the countries I visited: England, France, and Italy. 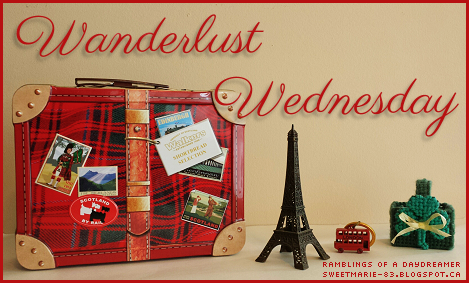 I love travelling vicariously through stories when I can't actually travel myself, and I know I'm not the only one, so I hope you'll enjoy these lists! 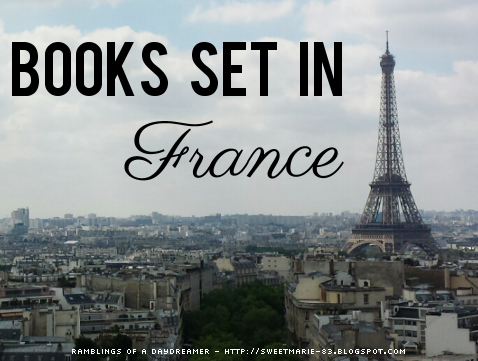 Last week I shared recommendations for books set in England, and this week it's books set in France. Anna and the French Kiss by Stephanie Perkins ~ One of my favourite books ever. It makes me giggly and swoony and just all around happy. I love the Parisian setting and getting to explore the city with Anna. The Beautiful and the Cursed (The Dispossessed #1) by Page Morgan ~ Set in 1899 in Paris, this book features gargoyles - something I haven’t encountered in YA before or since reading this book. It’s got lots of action and romance, plus interesting lore about gargoyles. The Chateau of Happily Ever Afters by Jaimie Admans ~ This book completely transported me to Normandy. I could picture myself at the chateau and living a quiet, simple life surrounded by nature, and shopping at the market every week. Fleur de Lies (Passport to Peril #9) by Maddy Hunter ~ Each of the books in the Passport to Peril series (my favourite cozy mystery series - actually, one of my favourite series, period) is set in a different country, and Fleur de Lies is set in France. You get to see different areas of the country, and I loved it! The Conspiracy of Us (The Conspiracy of Us #1) and Map of Fates (The Conspiracy of Us #2) by Maggie Hall ~ These books take place in a few different countries and cities, but Paris is a main setting. Having been to Paris twice, I loved reading about so many familiar places. I could picture it all with perfect clarity. These books are action packed and keep you guessing. I can’t wait for the third book, The Ends of the World. Just One Day by Gayle Forman ~ Like the Conspiracy of Us series, this book takes place in a few different countries and cities, but Paris is an important one. One Paris Summer by Denise Grover Swank ~ I’ll be honest, this isn’t my favourite book, but I added it to the list because of the setting (and cover) and because I like to encourage people to decide for themselves. This book is good if you’re looking for a light book with a fun setting. What are some of your favourite books set in France? Do you have any recommendations for books set in France (especially Paris)?